Our Celebratory Chef Judge is Chef Vincent Tropepe! The competitors can sell items at their table! 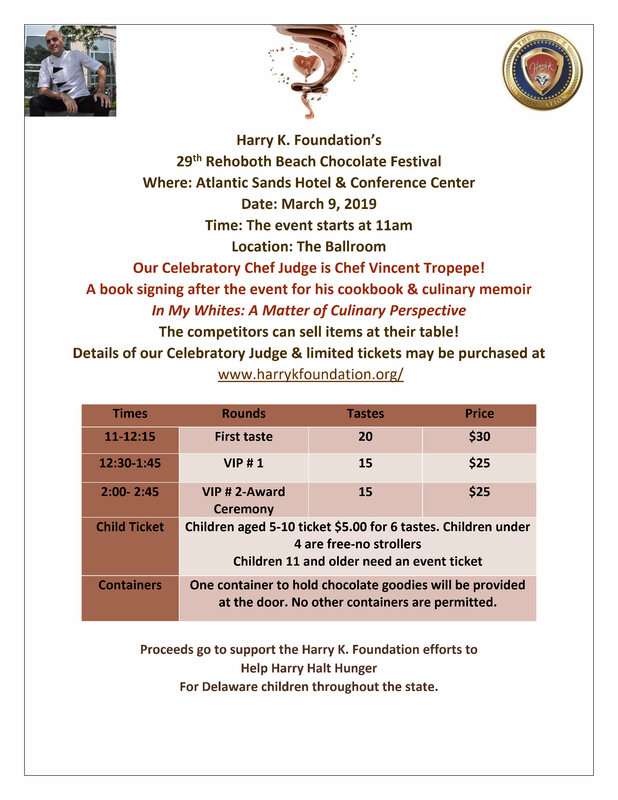 Proceeds go to support the Harry K. Foundation efforts to Help Harry Halt Hunger For Delaware children throughout the state.